Facts and history of the life and lifestyles of Native American Indians. There were many different types of American Indian Dwellings. The dwellings were designed to suit the lifestyle of each tribe and were built from the natural resources found in each of the tribe's locations. 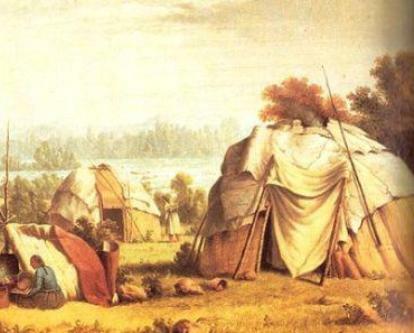 The climate and temperature also played an important factor in the homes of the tribes and many of the people built different styles of dwellings and shelters to suit both the summer and winter months. The most famous and iconic American Indian Dwellings were undoubtedly the tepee and the wigwam. However, there were many other designs of dwellings which are all detailed in the fact sheet.